For those of you who are interested in a passive investing strategy, I recommend that you check out M1 Finance. They offer free automated (passive) investing and no fee trades. Best part of all they offer Expert Pies, investment portfolio templates, that are based on Modern Portfolio Theory. Most Robo Advisors use MPT in their algorithms. 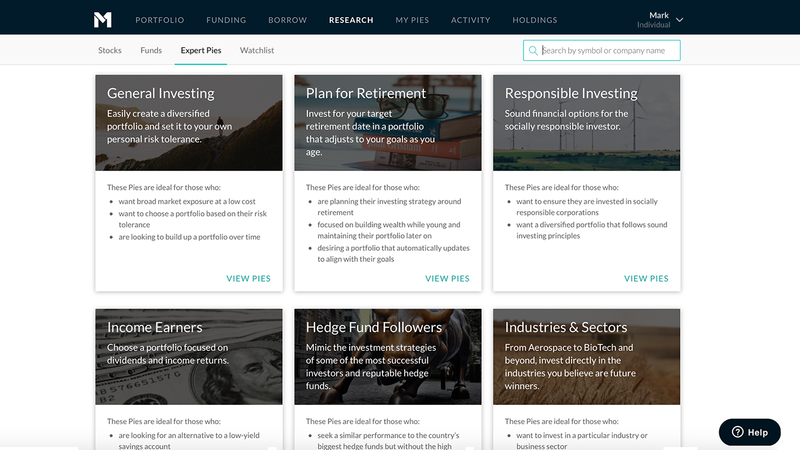 You can invest all of your money in one of these prebuilt templates for passive investing, or customize it in any way that you want. M1 Finance will then manage your account by maintaining your allocations within the Pie through rebalancing and allocating your new contributions. But M1 works more like a traditional investment brokerage platform in that you can choose your own investments for your Pies. You can even purchase individual stocks and exchange traded funds within your account — as well as the prebuilt Pies.